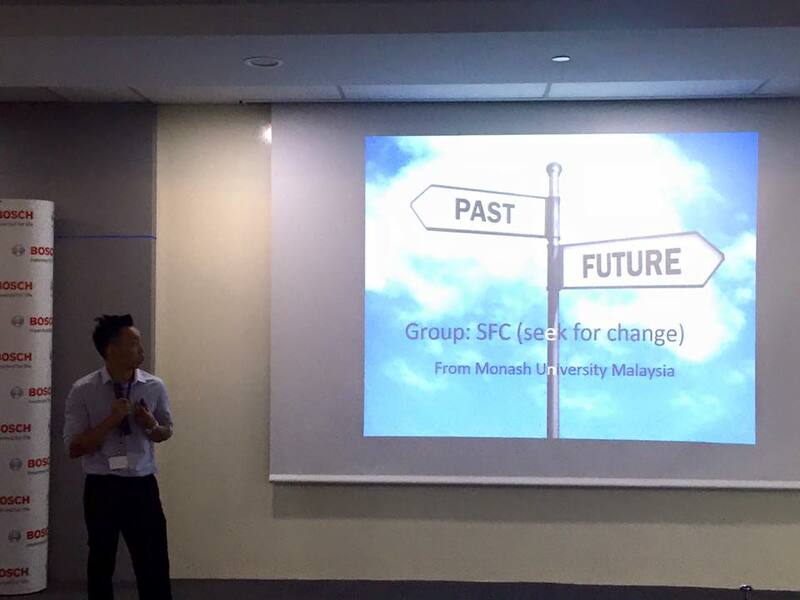 A multi-disciplinary team from Monash University Malaysia, consisting of Mr Chuwa Sheng Hong, 2nd year Mechanical Engineering student, Mr Phee Wei Junn, 1st year Engineering student, and Mr Teh Guang Hong, 1st year Psychological Science and Business student, proposed an idea and proof of concept of a “Student ID Wristband”. Their proposal captured the judges, resulting in their win as the 1st Runner Up, in the competition recently held at the headquarters of Robert Bosch, Petaling Jaya on 28 January 2016. Bosch's ‘Innovation Around My Campus’ competition aims to drive creativity and challenge local university students to formulate ideas that could improve their campus. This year, themed ‘Solutions for the Future’, leading technology and services supplier, Bosch, was proud to present the third edition of the competition. 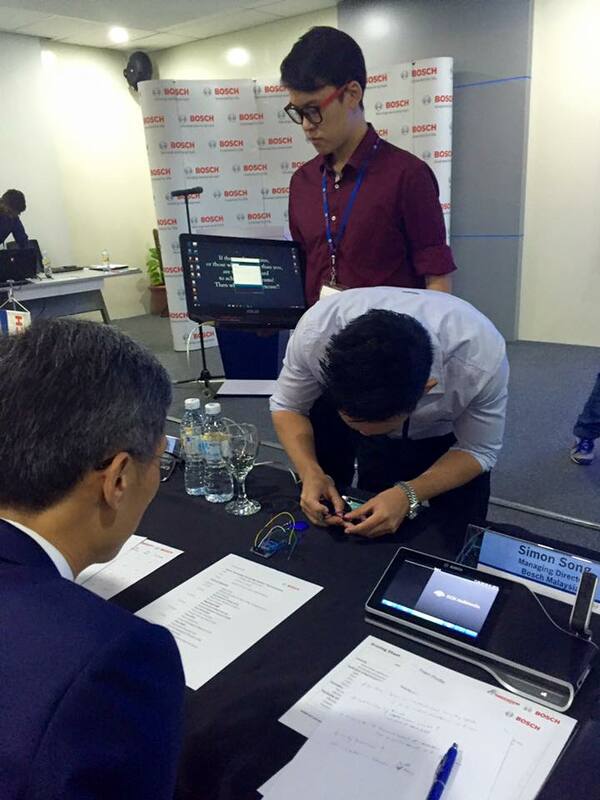 Bosch extended their invitation to students from all faculties at any levels in Malaysia to take part in this competition, where teams of three would be required to present their ideas to a judging panel from Bosch. Under the supervision of Dr. Surya Girinatha Nurzaman from the School of Engineering, they presented the idea of how wearable technology would revolutionize the 21st century and how it could be integrated to campus life through the wristband. They also developed a proof-of-concept mechatronics system to support the idea. The team, naming themselves as "Seek for Change” group, won the 1st Runner Up prize of RM2000, a trophy, certificate of participation, as well as training and internship opportunities from Bosch.